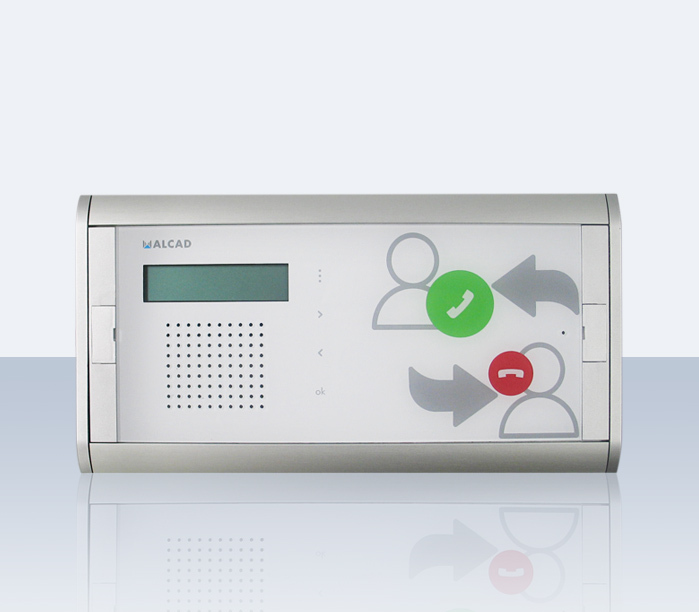 ACCUROrefugium is the unique intercom solution for fire and emergency shelters, public toilets and common areas, "all-in-one". It is the first complete market solution that complies both with the Spanish regulations SUA (Safety of Use and Accessibility) and with the SI (fire safety in non-residential buildings) in terms of the intercommunication section with a local control post. Regulations DB-SUA and DB-SI do not always go hand in hand, but it is common to find ourselves with the need to comply with both at the same time. For those cases, in ALCAD we wanted to collect the needs that can combine the two regulations and complement them with what we know best: a complete, configurable, manageable and above all versatile system: ACCUROrefugium. 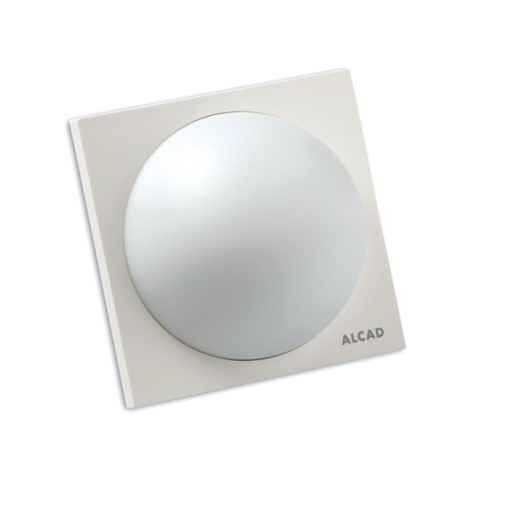 In order to combine and comply with both regulations, currently in force, at ALCAD we have a new solution integrated to our Nurse Call system ACCURO, which we have called ACCUROrefugium. With this solution we could incorporate, in the specific refuge areas, our CIC-231 bi-directional intercom with the control posts that are designated; Thereby, anyone who needs help at these points can communicate without any problem. A green color button: bigger than the rest of icons, serves to realize the request of aid. This icon will illuminate a light to warn that the call is in progress, very useful for people with hearing difficulties, and at the time that communication is established, it will be indicated that someone has received the request for help through the display that includes our control unit. A red color button: it serves to end the communication and request for help. The end of the action also occurs automatically when the request for assistance is answered from the control post. 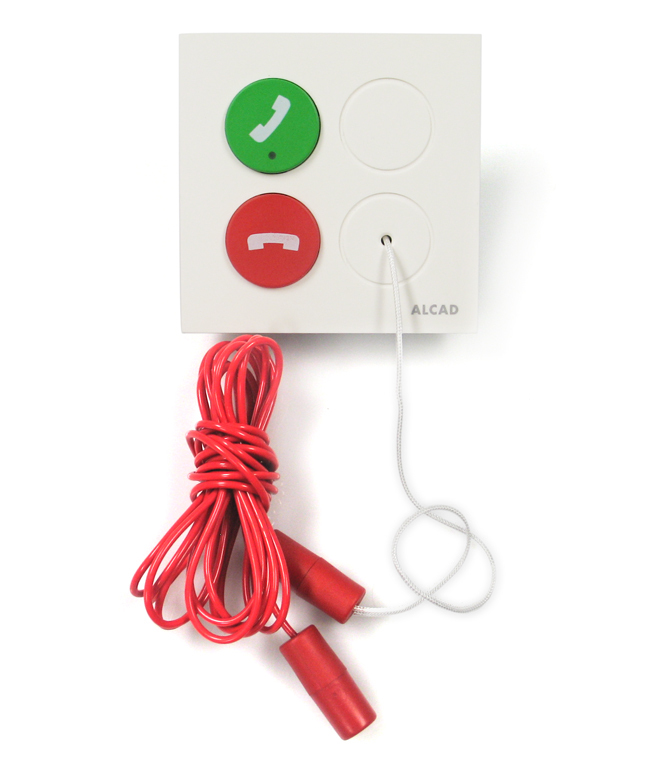 For the second part of which we have spoken in this post, in ALCAD we extend the range of own manufacturing mechanisms to serve the compliance of the DB-SUA: facilities in the toilets with adapted accessibility with the new peripheral call (LLC- 124); It consists of a green call button and a red colored pull cord, easily visible, with a sufficient length to reach the ground and actuate in case of a fall in the toilet. These notices are considered as "priority", since the warning in most cases involves a fall that requires face-to-face assistance, and the system compels us to perform an assistance to the physical space in which the call was made, and canceling it by pressing the red button. To illuminate the passage areas, in addition to the call made to the permanent control post, it is necessary to install another mechanism, namely a red signal light (SEN-121), which lights when we press the bathroom call.